©ECDillingham, watercolor & graphite on Rives BFK paper. 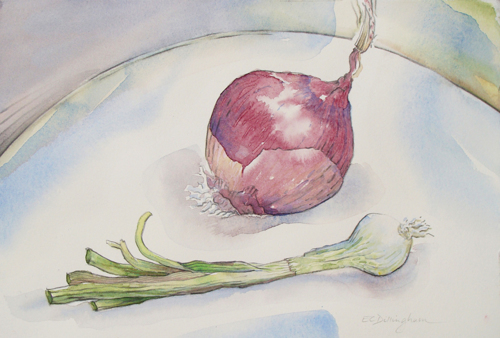 Two onions, alike yet different. If they were people, would they embrace their similarities or despise each other due to their differences?